So, you’ve been hearing about chatbots, but what are they and can they really save your business time while boosting sales? A chatbot is a piece of software that acts as a personal assistant, a customer services helper or simply prompts a user to perform relevant actions (such as placing orders for goods and services). More and more businesses are using chatbots to streamline their services, generate sales and build awareness, and users enjoy the benefits of not having to install individual apps for each service or business they interact with. They are designed to be time-savers and can also be money-makers. Here’s our rundown on what they are and how to use them. If you haven’t had an encounter with a Facebook Messenger chat bot yet, then it’s only a matter of time. In April 2016, Facebook first introduced a tool that enabled developers to build chatbots for Messenger. Since then, Facebook enabled a virtual assistant of its own that responds to users with replies and suggestions to relevant actions (such as ordering a pizza) by scanning for keywords in the chat. If you have a distinctly nerdy side (like us), then you will be very familiar with the buzz around AI and Machine Learning already. Clever AI software that teaches itself to become faster, smarter and more efficient on its own without the interference of a programmer, uses Machine Learning. This is exactly what chat bots are doing. If the user doesn’t get what they need from the chatbot, then they will be connected with a human and this also feeds into the bot’s learning. The bots get smarter and their usefulness continues to grow. There are various Chatbots that you can use without needing coding experience either via a third-party tool such as ManyChat and ChatFuel. Before you do, you’ll need to define your strategy and objectives to decide if you want it and what you want the bot to do for you. Here are some of the ways different business types can give value to their audience while simultaneously saving time and resources. While there is some initial work in setting up and monitoring your bot, the rewards can be well worth the initial time investment. 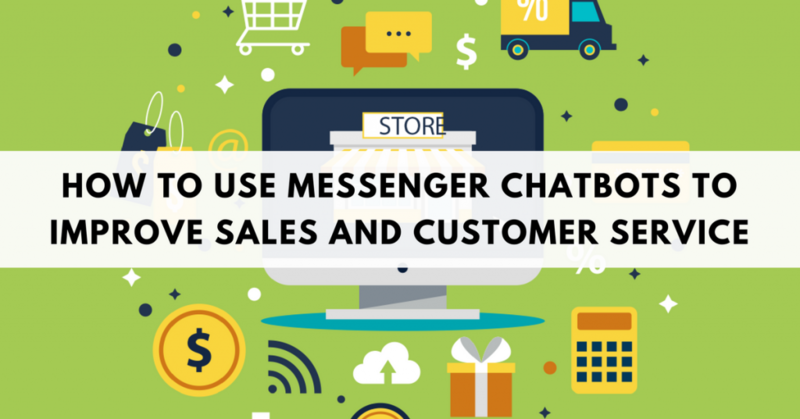 Here are our favorite ways for B2Bs to get the most out of Messenger bots. Bots are set up to be chatty and friendly. While it’s still important to maintain the tone of voice that your clients will recognise, the bot can be a great tool to loosen people up and keep them engaged with your brand, products, services and more. Your bot can be instructed to suggest your upcoming webinars, latest blog article or a new product release without seeming too pushy or salesy. The bot can also send gifs, whitepapers, infographics and even tutorials to keep your clients informed and deliver them value beyond the services they have already paid you for. This brand-loyalty building alone makes chat bots worth considering. Highly detailed customer data allows for excellence in your marketing strategy but getting that information often requires one-to-one conversations and a lot of time. Once a user is engaging with your bot, you can learn much more about them. You can setup your bot to ask a customer what their company position is, what their contact details are and what competing products and services they use. 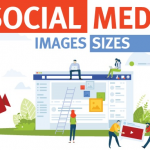 You can also connect which types of content they have been requesting from the bot to build a much more rounded picture of your client’s likes, dislikes, professional interests and purchase cycle, all while building a relationship between your brand and your client. With all of this information and thanks to your bot keeping your customer warm, your human salespeople will find it easier to contact, connect and pitch the right product or service at the right time. If you sell services to businesses then you will already have a dedicated support team handling client questions and issues. While a bot probably won’t be able to handle complex issues (yet), it can certainly be used to field issues and put your customer in touch with the most relevant contact within your organisation. For simpler queries, it might even be able to handle some for you while your human team-mates are sleeping, freeing up more of their time the following day for the tougher to handle enquiries. Getting back in touch with past clients or lost customers can be time-consuming but is an essential part of any sales strategy. Promote your bot heavily and you’ll be surprised how many people will engage. Given that for many people, bots this advanced are still something of a novelty, you may find that your bot becomes not only one of your best retention tools, but also a master at reviving old client relationships. Once you have them back in touch, your bot can get the conversation going again and feed back into your CRM data. How can Chatbots Boost your Ecommerce Business? Just as a Messenger bot can promote new services, generate leads and handle basic customer service queries for B2Bs, so it can for ecommerce sites. Messenger can process payments without your customer even leaving the comfort of their Facebook page. 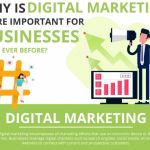 Making the road to purchase as easy as possible has been the endgame of digital marketers since ecommerce began and new ways to help make the checkout process easier for your customers are almost certainly being taken up by your competitors. The convenience of a chatbot transaction is bound to boost sales. Bots can also help customers update billing information and make other basic administrative tasks effortless and immediate. These functionalities not only streamline your internal processes but have a distinct benefit to the user (your customer). In the first place, a chatbot can be used to help answer frequent questions about products, shipping times and other FAQs to help avoid cart abandonment occurring in the first place. Given that the bot is so convenient for users and never sleeps, it can help customers to go ahead with their purchase as intended. If you do have partly processed orders, your bot can send a gentle reminder to the customer and ask if they need any help with their checkout. Shopping cart integration isn’t for the faint-hearted though. It can be a tech challenge but if cart-abandonment is costing you money, then the ROI could well be there for your business. Your bot can inform your customers about new products that you have in stock, promotions, and giveaways in a fun and personal way that other channels will find hard to match. You can add an element of humour to the bot’s tone of voice, make it feel like a pal rather than a sales rep or generic marketing speak and engage your customers with a finesse and charm that is hard to compete with on a one-way communication. So, are they Bot or Not? Bots have many advantages whether you are in the B2B or B2C space. Freeing up time for your staff, learning about your customers, spreading awareness and generating leads all in one little robot package, chatbots are only going to continue to improve the relationship between brands and their audiences. Yes, as you can probably tell, we are fans! To find out how Facebook messenger bots can help improve your business, contact us through our messenger bot here.